Products Specialized web based applications! Quickly build HTML forms and cut and paste the code onto your website. Manage all your leads from one streamlined interface. Build and customize your business sales process. Increase your ability to convert online leads to a sale. 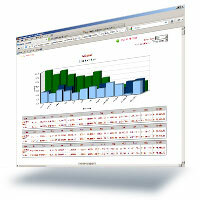 Manage staff online with performance indicators for top level management only. Tools to help automate the sales process. Email campaign tools to drip email to clients over time. Customized Categories to help organize leads into specific areas. Severity indicators that allow you tag a lead with a level of urgency. Bridgleaf will build a complete commerce solution for your company in order to be successful online. Manage a wide variety of products, have multiple vendors on one site and manage them individually. Supports multiple vendors with separete account to the back end tool interface. 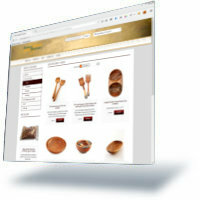 Customers can login to view recent orders and make changes to their customer profile. Login to the site as a customer an submit product reviews. Manage Categories and Subcategories that products are assigned to. Uses Address verification and calculates shipping cost using the USPS API. Built on Bootstrap in order to support all devices (mobile, tablet, and desktop). Manage individual product shipping schedules and tracking numbers. Send vendor notification emails about specific products that have been purchased. Extremely flexible product building tools that supports multiple attributes (size, color, weight etc). Bridgeleaf provides you or your agency the ability to track and report on campaigns. Now your Marketing spend choices can be based on more solid evidence. Whether your pulling from Google AdWords, Google Analytics, or just using a CSV file, this set of rollup tools will allow you to import historical data and then generate PDF reports from the collected data. Import PPC, SEO, Call Logs, Email Campaigns and custom CSV files. 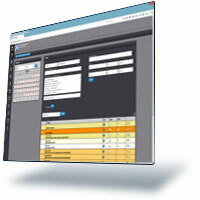 Deliver accurate reporting from multiple data sources. Tools to help monitor daily PPC spend. Build customized dashboard to use for comparision.